XT Development is home of NanoCheeZe Software and the AI project known as The MEQUAVIS. 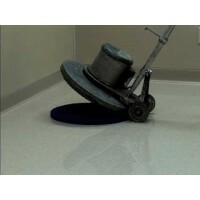 We have operated as a janitorial company that specializes in VCT floor care for 5 years and we namely offer strip & wax, buffing/burnishing, and scrub & recoat services to clients in hard to service areas. We currently service almost 100 locations for popular auto parts store and sporting goods locations! We travel to remote locations for businesses that other companies refuse to travel to. It is not unheard of for us to take a job 500 miles away, we do that good of work! We are currently a small business that hopes to expand into a truly unique company and experience that integrates both AI and robotics with our floor care specialty as a way to both demonstrate and monetize our initial AI applications. It's a great way to demonstrate the technology we are developing as the industry we service is one of the industries that are being quickly transformed into robotic labor. One person is capable of doing what once required a 3 man team... 2 people can refinish very large areas in minimal time with much less effort than in the past! Kenny did excellent work on my deck. I wish I could show the before and after pictures here but my d.. 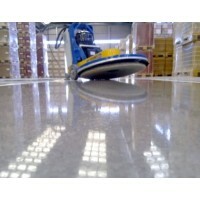 This is for a quick sweep and mop (if needed) and then buff or burnish of vct flooring.Cost is minim.. 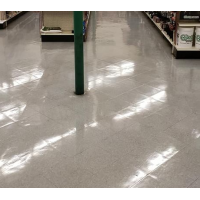 This is for a scrub and rinse and wax/finish re-coating of vct flooring.Cost is minimum price for jo..
Services available at great hourly rates!We can have a service scheduled once, periodically, or we c..